April 4, 2012  The blast killed at least six and was a stark reminder of the country's fragile security situation. February 27, 2012  In the first hour of Talk of the Nation, the future of affirmative action, and the opinion page looks at single parenting. In the second hour, the author of Am I My Genes?, and what could work for Somalia. January 25, 2012  The Somalia operation instantly recalled the killing of Osama bin Laden last year. Indeed, it was reported that the SEAL team that conducted the hostage rescue was the same one that killed the al Qaeda leader. As with the bin Laden operation, the Somalia rescue of aid workers occurred as Obama made high profile appearances, giving no signs of the drama. 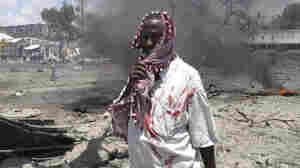 A wounded man stands at the scene of the explosion in Mogadishu, Somalia, earlier today. 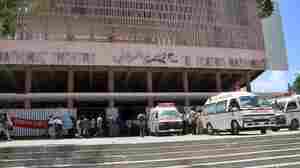 October 4, 2011  A spokesman for the Islamist militant group al-Shabab has claimed responsibility. September 27, 2011  In the first hour of Talk of the Nation, what has happened to political mobilization on the left, and an update on Somalia. In the second hour, preventing prescription drug overdoses, and why everyone needs a coach. August 9, 2011  Some 800 metric tons of food are on the way to East Africa, where more than 12 million people are suffering from a severe drought. And a U.S. veteran who was shot down in Somalia in 1993 says he'd be willing to fly aid in. 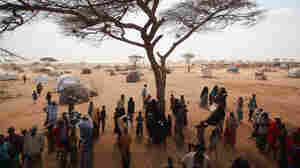 July 22, 2011  As they flee famine, drought and conflict in their own country, Somalis are streaming to an "inhospitable land" in Kenya where life is marginally better. International efforts are underway to get help to them. July 6, 2011  They were likely fleeing the war in their country and the severe drought in the region, and were trying to get to Saudi Arabia. 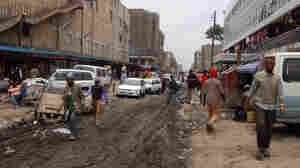 Human trafficking is common in the largely lawless region. February 22, 2011  The yacht Quest was hijacked Friday off the coast of Oman. A U.S. Navy warship that was trailing the yacht heard gunfire and boarded the vessel Monday. 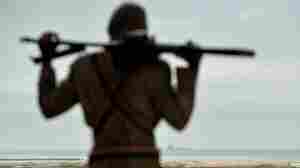 October 20, 2010  Somali pirates have become more bold, attacking any ship, any time. 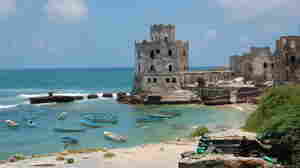 Their success has wrought a whole new culture along the coast of Somalia. 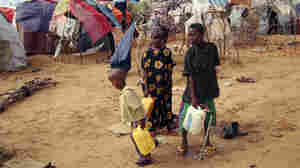 October 6, 2010  Tens of thousands of Somali refugees fled the conflict in their homeland to neighboring Kenya. Now, the conflict is following them there. 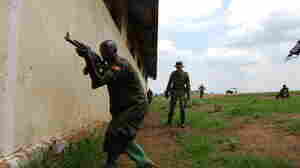 October 5, 2010  European Union soldiers are training Somali soldiers. One of their biggest challenges isn't fighting ability, it's teaching the troops to grasp a national identity as Somalis. Not an easy task for men who have grown up without a nation. October 4, 2010  NPR's Frank Langfitt just returned from Mogadishu, Somalia. One of the things that stunned him about the war torn country was how beautiful it was.